This New Zealand tour itinerary is destined for any keen hiker who likes to have basic creature comforts while they undertake multi-day walks. On your hiking holiday you’ll get to have hot showers, use flush toilets and sleep in proper beds while trying out some of the most stunning little known multi-day private walks in the country. A fantastic 3 day/2 night sailing tour of the Bay of Islands is also on the programme. You’ll set off from Auckland before heading to the Northland region for the Cape Brett Track, the Bay of Islands cruise and a flying visit to Cape Reinga. You’ll then head down the west coast to the Kaipara Harbour and then continue on to hike in the famous Tongariro National Park. One last 3 day/2 night track is included in the North Island before you catch the ferry for the South where you’ll finish the trip in majestic surroundings doing two coastal walks near Kaikoura and on the Banks Peninsula. You won’t necessarily find these walks in the guide books but they are all incredibly scenic and will give you the chance to meet and converse with the locals, so you’ll get a grass roots experience that you can’t have on more commercialised walks such as the Milford or Routeburn. Remember, this is just an example trip itinerary - we are experts in creating customised tours so get in touch and we'll put one together just for you! 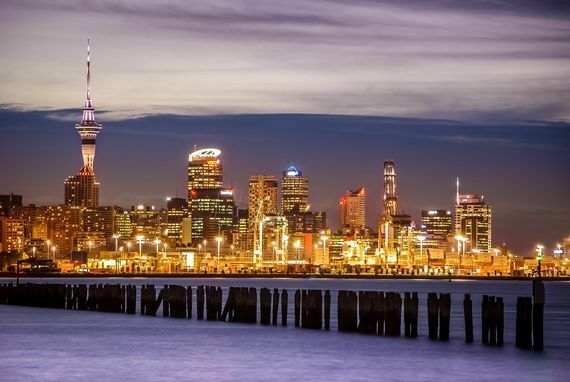 Auckland is always a good place to start your trip so you can stock up on any provisions or gear you may need before setting off. You’ll also have a chance to ease your leg muscles into it with a walk on the volcanic island of Rangitoto or perhaps you’ll be tempted by the opportunity to sail one of the former America’s Cup yachts in the Hauraki Gulf. A modest B&B on Ponsonby Road so you can spend your evenings amongst the locals. The night before your Cape Brett walk you’ll stay in an old villa with stunning sea views, you can’t miss dining al fresco on the patio. The walk is quite physical with lots of ups and downs but your effort will be well rewarded by the beautiful coastal scenery and the local marine life. You’ll even be able to take a swim along the way. A first night in the villa and the second in your sleeping bag in the old lighthouse keeper’s residence. This is not the typical type of cruise that springs to mind, you’ll be sharing the small sail boat with a max of 10 others, with shared bathroom facilities in a convivial atmosphere. You’ll won’t just spend time on the boat though, you’ll anchor up often to discover the hidden treasures of the Bay of Islands on foot, in kayaks and with a mask and snorkel. You’ll fly over 90 mile beach before landing to visit Cape Reinga, our famed northernmost point. On the way back you’ll get to see the East Coast of Northland from the air, a truly superb scenic flight. A room in Russell, a quaint seaside village which was the country’s first capital. 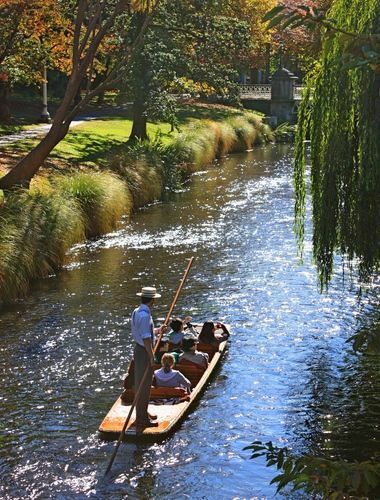 Only an hour from Auckland and so few people have heard of it, we’re trying to right this wrong! 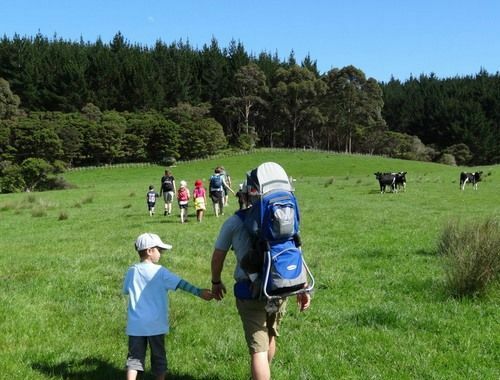 Kaipara Walk is hugely diverse with sections of it covering coastal land, going through the forest and over farmland. You may even get opportunity to catch some oysters for your dinner. You will spend one night in the farm house that has belonged to the local family for generations. The biggest hiking destination in the North Island in a world heritage area. 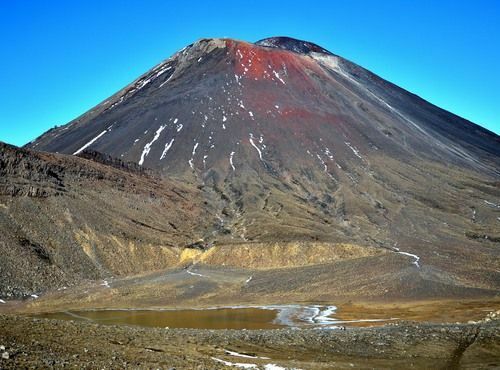 What else but the Tongariro Alpine Crossing, as a freedom walk or with a local guide - we offer both options. A 35 minute scenic flight over the three volcanoes is also an option to consider. Chateau Tongariro, one of New Zealand’s most iconic accommodations. You won’t have ever heard of it but we’ve tried the Whareama Walk out so can attest to its charms! You’ll be served great homemade food and get to experience the authentic kiwi life, far from the masses of tourists. Traditional farm cottages comfortable fitted out for hikers. A cultural stopover in the “coolest little” and southernmost capital city in the world. A hotel on Cuba Street so you can explore the central city on foot. Take the Cook Strait ferry over to “the mainland” as South Islanders like to call it. Kaikoura is well known for its incredible marine life, you may even be able to see whales and dolphins from the vantage point at the start of your walk. The Kaikoura Track is largely coastal but you’ll also pass through native forest and over pastureland. Your pack will be transported to your accommodation for you where each night’s dinner will await. We fell in love with the Banks Track walk in 2013. The sumptuous scenery of this volcanic peninsula is ever changing. Lucky you! You can expect to see little blue penguins and their yellow-eyed cousins along with sooty shearwaters and fur seals on the outer reaches of the Peninsula. 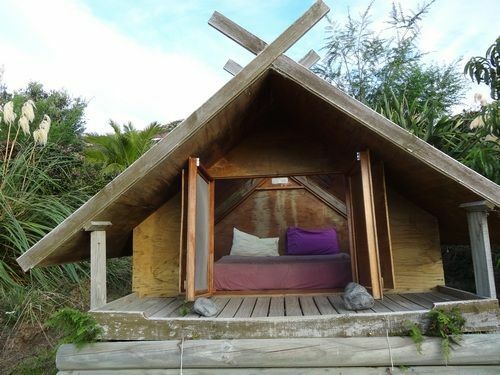 The accommodation options are equally unique - from stargazing units on the first night to wooden cottages in a garden that looks like it was plucked from the Shire on the second night. In the latter you’ll get to choose between an eco-shower-cabin built around a tree trunk or soothing your tired muscles with an outdoor bath heated over a wood fire. The two we’ve described above are a huge part of the allure of this walk. 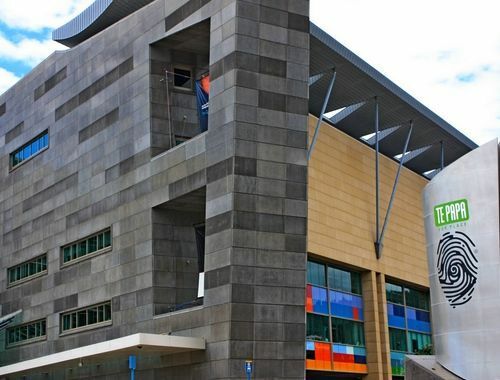 Explore this southern city whose central business district is being rebuilt with an ecologically and people friendly approach. Once Upon A Trip are experts in New Zealand holidays. Let us create the ultimate trip for you!